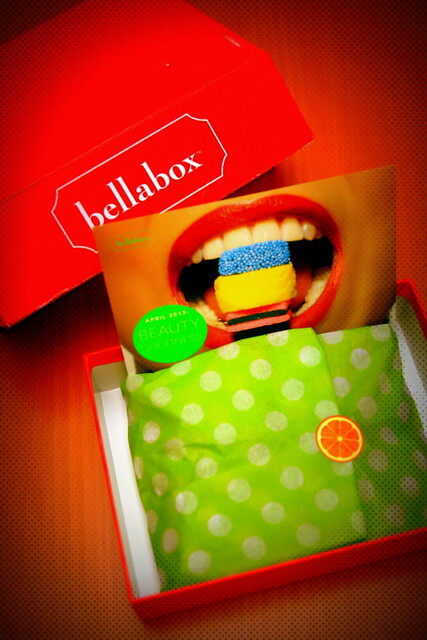 You may have heard of Bellabox - it's a service that sends a specially curated box of beauty samples from boutique, cult, and high end brands to their subscribers each month in a gorgeously wrapped gift box. Like the famous box of chocolates, you never know what you're going to get, but they work with many brands including Lancome, Kiehl's, Vichy, Benefit, and Laura Mercier. This feels like unwrapping a birthday present every month! April's theme Beauty Goodness celebrates all things yummy! There are six items in the box: Bioderma Atoderm Shower Gel, Faust's Potions' Asleep Potion, Nuxe Creme Fraiche 24 hour de Beauty Masque, Skin Pharmacy Collagen Building Serum, Cellilux Glacial Mineral Gel and Twistband headbands which are soft, elastic, and won't leave kinks. I also found some S$5 discount vouchers. 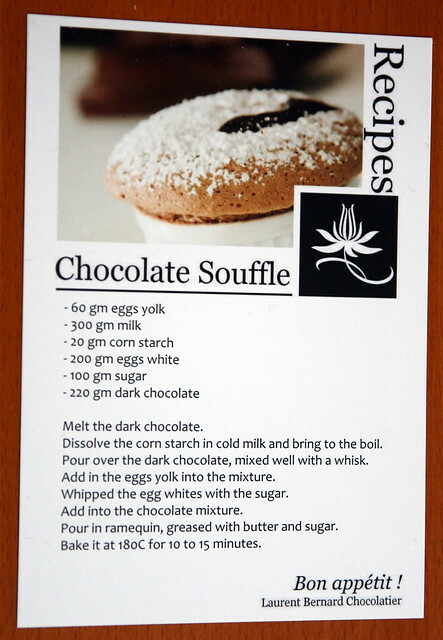 As a yummy bonus, the April box comes with a chocolate souffle recipe from Laurent Bernard. You still have time to sign up for the April box; they'll be shipped around the 20th. Please be a resident of Singapore. Winners will be chosen by random draw, so everyone has a chance. I will contact winners via their Facebook or Twitter accounts. Closing date is Sunday, 14 April, noon. Include anything that can be included! I would love to see KIEHLS or LANEIGE or BENEFIT. Thanks for participating, everyone. Winners have been announced on the Facebook fan page entry. Win S$1000 and A Year's Supply of Fiji Water!